The RB1 relay board converts the O/C output from the LCD displays and L746 Overdoor light into 'Normally open' and 'Normally closed' contact sets. The unit may also be configured by the fatory to provide time delays for some door applications. It may aksi be used to trigger a call point from an external voltage (e.g. door bell etc.). The unit is fitter with a 'T' 12v output which may be usedto drive low current devices from the newtork. Dual jack plug allows to devices to be atatched to the same call point, e.g. lead and pressure mat. Ideal for fall or wander risk residents as well as those with dementia. 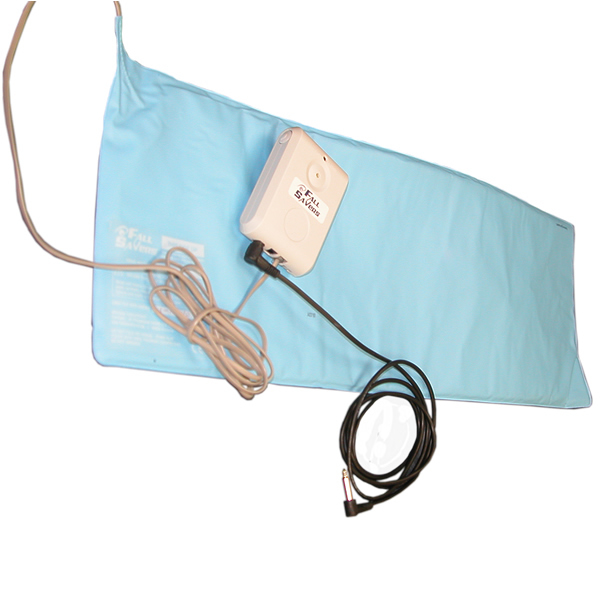 A flexible, portable PIR unit complete with battery and 6 metre lead to connect to Intercall nursecall system. 2 metre lead and mains adapter also available. Allows precise replication of call system activity to pocket pagers. Requires 747 and 747SL.